From the author and illustrator of Paint Me! comes a new story that teaches children to explore and to be open-minded. 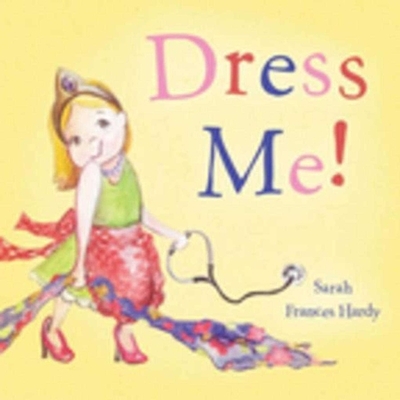 Featuring simple text but an inspiring story and lovely, detailed illustrations, Dress Me! is sure to charm young readers and parents alike. This book is perfect for early readers and for reading out loud. Sarah Frances Hardy is a children’s author, illustrator, and professional painter. A former lawyer, Hardy studied art at the Parsons School of Design and has had her paintings featured in galleries and commercial establishments. She is the author and illustrator of two books: Puzzled by Pink (Houghton Mifflin) and Paint Me! (Sky Pony Press). Hardy lives with her husband and three daughters in Oxford, Mississippi.